YOU SHOW UP, WE DO THE REST. Cozy air conditioned camper ready for you! Sheets? Check! Clean bathroom? Check! Pool? You bet ya! Hikes. Organic farm visits. Wine tastings. Hot springs and plenty more. WE’VE CREATED A CAMPING EXPERIENCE THAT’S FRIENDLY AND HASSLE FREE. Enjoy the fun of camping without the hassle of tent wrangling and gear. Fresh bedding, clean bathroom and complimentary continental breakfast take camping to the next level. Are you ready to experience camping at Dragonfly? Just a few minutes drive up the valley you can experience organic farms, wine tasting, hiking, hot springs, a full service spa and golfing from the breathtaking Capay Valley. Dragonfly ranch is worlds away from the hustle and bustle. When I need to feel at peace in the world around me I go to the ranch. Dragonfly is nestled in a picturesque setting where its effortless to quickly check out of a stressful reality. It’s nourishment from the inside out. First there’s the animal therapy. Playing with goats and watching them grow up so happy is pretty neat. I washed my first horse and learned the ins and outs of horse care and hygiene! 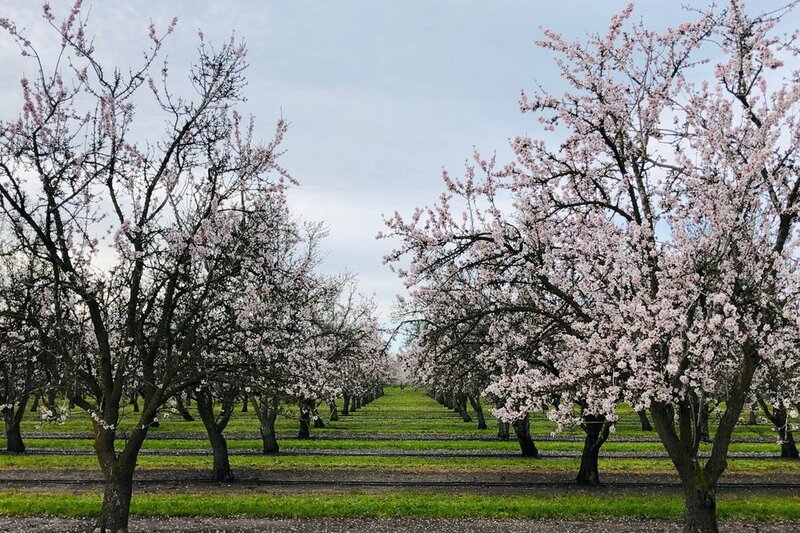 The grounds are luscious and filled with the some of the best of Mother Nature; almonds, figs, grapes, oranges, olives. It’s paradise for big garden lovers, and un intimidating for city folk alike as it’s all very stroll-able. Have yet to dip in the pool but love the modern ranch inspired ambiance and the garden abundance nearby.